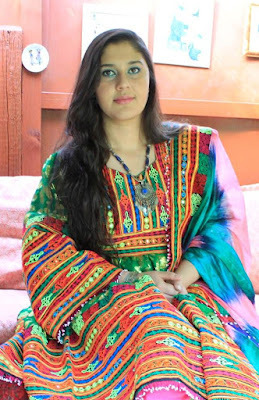 Peymana Assad, a political activist and a blogger, talks about her story, the perception of Afghanistan, and her work with the British Afghan Women's Society, or BAWS. Let's start with something about you. Would you be able to talk about yourself, your work, and your education? I currently work as a political officer in Local Government. Our work in Local Government is all about serving the community. Local representatives make life changing decisions for their residents from what support schools need to what type of employment programmes are available for young people. It’s fulfilling to see policy decisions go through that you've contributed to. I guess the reason why I chose politics and activism as my line of work is because of my experiences working in different types of environments, and also whilst reading for my masters at Kings College London in Conflict, Security and Development.The biggest realisation that has come from this is one must be at the table of decision making to make things better. I thought the best way to do that would be through politics, writing and activism - in order to raise awareness about the issues most important to me and in the end influence new ways of thinking about the solution to those issues. Your bio says that you were born in Kabul and raised in the UK. Would you like to share something about your transition into a new country, and what life has meant for you afterward? Yes, I was born in Kabul and my parents came to the UK as political refugees when I was three years old, because of the civil war in Afghanistan. I've grown up as any ordinary British person would but my Afghan roots and culture have been an additional factor to my upbringing and an influential part on my outlook on life. My mother was adamant that she would make sure we had the core skills that Afghans needed so she sent us to an Iranian school on Saturdays to learn how to read and write Farsi and to the local mosque every day after school to learn about Islam and to read the Quran. This for my mother was a way that would keep us connected to our religion and our roots. I think my parents were really brave in how they handled it all, trying to make life work in a different country after having escaped a brutal civil war, and they did this with such sheer resilience and hope. For me, life in Britain has been a blessing because of the opportunities I have been given that I wouldn’t have otherwise had. A large part of the world is so pivoted towards stereotypes in their inter-faith relations. Have you experienced that? What have your key challenges been, and how have you dealt with them? This is a really difficult question so my answer will be long. Speaking strictly about inter-faith relations in Britain, I think those stereotypes are more prevalent today because of what is going on across the world. This is in terms of the way those events are brought up and even challenged in the media. I believe a large part of the inter-faith relations debate has a lot to do with race, and that is something that needs to be discussed more openly but isn’t. The key challenge has been exposing people to other faiths and trying to get them to understand other cultures. But that is very difficult when people keep to very neat social circles that aren’t diverse and don’t expose them to other faiths and cultures. Maybe this is out of fear, or not knowing how to but this is where stereotypes are more engraved and become concrete. I am constantly placed in a box by people I meet, simply for the fact that I am a Muslim woman. I think the key here is the fact that my female gender is added to my faith identity. Men are never met with a change in tone or questions like whether they’ll be forced into a marriage or what is in their drink. It gets tiring after a while of having to always educate people on this. I believe religion is a very personal issue and yet I find myself constantly having to speak up about Islam and Muslims, because of how it’s vilified by a lot of people today, whereas in the past I never felt the need to. I am no scholar of Islam, but I find that it’s become an increasingly important part of my activism to read more into my religion. You are also a trustee of the British Afghan Women's Society. What does your work with them entail? The British Afghan Women’s Society (BAWS) has been working with different ethnic minority women for about 15 years now. BAWS main aim is to empower women from low socio-economic backgrounds and to raise awareness about their lives and their issues. The charity does a variety of projects such as holding tea clubs for Afghan women so that they can come together, share their experiences, get advice and have a safe space where they can express themselves amongst others. One of the projects that makes me proud to be a trustee of the charity is the oral history project that we undertook. BAWS did an oral history project titled DAWN, a film where we documented the life of British-Afghan women; it was the first oral history project ever to record the unique experiences of Afghan women who have settled in the UK over the last 40 years. Currently we are working on our annual Mother and Daughter’s event, which will be held at the end of April this year, to celebrate that special bond. The intersectionality of nationality, religion and gender brings its own challenges with it. As a British-Afghan Woman, what were some of your key challenges in terms of stereotypes people followed or had in mind, when interacting with members of the British-Afghan community? To be honest I think it works both ways because when I'm in Afghanistan, everybody considers me as the westernised British girl, who does all the things a white-British person would do. And yet when I'm back home in Britain, I'm automatically painted as the traditional Afghan girl, and nobody really knows how to interact with me because of it. In terms of challenging those stereotypes in Britain, I've had so many incidents personally, like when I was in high school in a geography class and someone called me a terrorist because they found out that I was an Afghan. My reaction to that was to help educate them about my roots and my people, changing their incorrect perceptions. But I've sat with many in the British- Afghan community that face those types of stereotypes all the time once the other person finds out they are Afghan. When I was reading for my bachelors I remember sitting in a seminar about the affect of globalisation on security and one of the other students made a comment about how people from the Middle East and Asia don’t really care when their loved ones are killed because it’s a normal thing for them, its casual. I was really quick to shut her down. But as I've got older I see it everywhere now, in the difference of the way an Afghan death is reported compared to a non-Afghan death, or how non-Afghan perspectives on Afghan issues are given more credit, more authenticity and are heard louder than Afghan perspectives. I feel as time has gone on it’s become harder to challenge those incorrect perceptions. This is because it’s in books, in articles, on websites, on social media, it is now engraved. And if you do challenge it, there are some who automatically cut you off, dismiss you and don’t listen when you do raise your voice against their incorrect views that they are getting such widespread attention for. The argument I've heard on so many occasions is, Afghans lack objectivity to speak because they are emotionally invested. It is quite clear that Orientalist views on Afghanistan and Afghans are still very prevalent because of how engraved it already is in society. This needs to be changed and I hope the Afghan community is braver when they speak up about their own history, culture, politics, society and country. There is so much negativity around Afghanistan - the media has done a splendid job of portraying the country as being wartorn, to the point that it has "gone beyond redemption". What are your thoughts on this, and what do you believe is the true image that we're not hearing? I can’t tell you how wrong that perception is, yes Afghanistan is going through one of the most difficult moments in its history but it will pull through this, like it always has. The true image of Afghanistan and the Afghan people is one of resilience, I have seen it in their eyes and in their faces, and I can say with great confidence that they will never give up for a better and peaceful Afghanistan. They have and always will continue to strive for a better life, one just needs to sit in the classrooms, to see the eagerness for education on the faces of Afghanistan's children to become something, to serve their country and their people, to know it. Of course there are still problems and challenges, corruption, war, poverty, the mass exodus of Afghans to other parts of the world, but to throw in the towel now when we've come so far in making things better bit by bit is unacceptable. It is just not in the spirit of human nature to do that, and Afghans will continue to show that life will go on in-spite of all its difficulties. The rest of the world would be making a huge mistake if they abandon Afghanistan, history has shown us that. 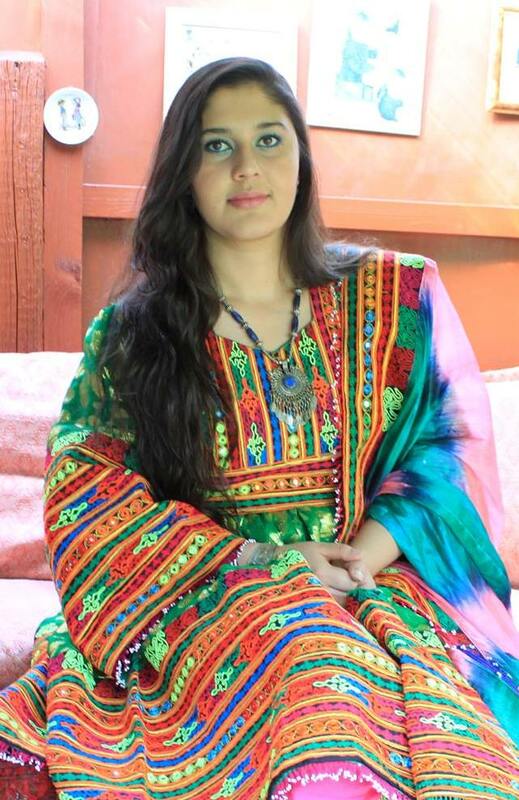 The key for me in keeping people interested is spreading awareness about Afghans and Afghanistan in your own circle, so that those people can take that information and then spread awareness in their own circles and that way we create more educated opinions about the country and people become engaged.